" It is an Oscar-worthy performance that deserves a wealth of world-wide recognition and critical acclaim"
Screen Nut Magazine on 'An Act of War'- July 2015. Russ Russo is an Award Winning American Film & Television Actor. His work includes An Act of War, NBC's Revolution, Ryan Phillippe's 'Catch Hell', Blue Collar Boys, Williamsburg , The Book of Love & Bad Frank. Fun Fact: Russ can also be seen in the viral hit video sensation "Batman Maybe" where he played Bruce Wayne/Batman. 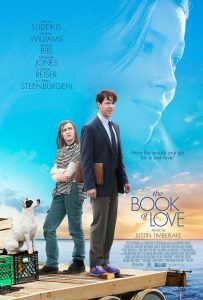 The Book of Love is an American drama film directed by Bill Purple starring Maisie Williams, Jessica Biel, Jason Sudeikis, Mary Steenburgen and Paul Reiser. An Act of War Trailer! 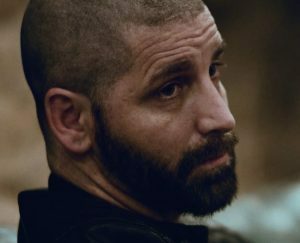 Check out the new trailer for 'An Act of War' in which Russ play the lead Jacob Nics. A solider suffering from PTSD attempts to cope with loneliness and paranoia fueled by an eight-month ordeal as a prisoner of war in this psychological thriller.